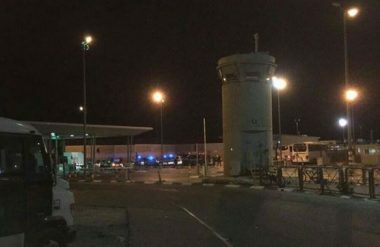 The Israeli authorities have decided to open two border terminals with Gaza, Sunday, after shutting them down for ten consecutive days, but will not allow fuel, donated by Qatar, into the coastal region. Media sources in Gaza said that Israel has decided to open Karem Abu Salem (Kerem Shalom) and Beit Hanoun (Erez) crossings, to allow goods and medicine through. It is worth mentioning that Israeli Defense Minister recently decided to close all border terminals with Gaza, due to the ongoing Great Return March processions. He said that opening the terminals is connected with maintaining calm in Gaza, and halting “launching flammable balloons from the coastal region. Despite his decision to open the terminals, Lieberman decided that the fuel, donated by Qatar to Gaza Power Plant, will not be allowed through.